Property prices in provincial markets ended 2018 strongly – in stark contrast to the main centres where stabilisation is the name of the game. Six regions hit record average asking prices in December 2018, according to the latest Trade Me Property Price Index. 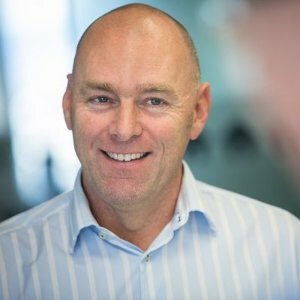 Head of Trade Me Property Nigel Jeffries says demand in most of the provinces was very strong as 2018 came to a close. Those regions were Otago (up 11.7% year-on-year to $586,950), Northland (up 9.4% to $580,950), Nelson/Tasman (up 7.2% to $619,600), Waikato (up 5.9% to $575,300) and the Bay of Plenty (up 5% to $637,800). Jeffries says the average asking price in Hawke’s Bay also reached a new high of $566,950 after climbing 11% on December 2017. Additionally, New Zealand’s national average asking price reached $657,650 in December, which is a 2.7% increase on December 2017. In contrast, Wellington property prices dipped in December – after several months of record-setting growth. They were down by 1.6% on November to $606,900. Jeffries says while demand for Wellington property in the capital was low in December, they expect to see them bounce back and continue their upward trend in 2019. Meanwhile, Auckland’s prices continued to flat-line in December. The city saw a year-on-year increase of just 0.1% which left the average asking price at $943,100.